There are a variety of restorative options for missing, damaged, or decayed teeth. Quality replacements not only improve the health and function of your smile but they also enhance aesthetics as well. Dr. Gregory Wilcox, along with our friendly and dedicated team, offers traditional and implant-supported prosthetics for our patients in Davis and the surrounding communities. Call to schedule an appointment today if you are looking for a dental practice with the expertise to transform your smile. Our overall goal is to make your treatment as comfortable and efficient as possible. When you see Dr. Wilcox with decay or trauma, we make every effort to save and repair your natural tooth before recommending extraction. Additionally, we use quality, tooth-colored material so you restored tooth matches the rest of your smile. When performing minor cavity treatment, we use a composite filling to protect the area after we’ve removed all traces of decay. When left unaddressed, decay can advance to the inner portion of the tooth, requiring root canal therapy to alleviate symptoms. After referring you to our trusted specialist to perform the procedure, Dr. Wilcox secures a porcelain crown to restore full function to your smile. When you are missing one or more teeth, we provide several options that effectively fill the gaps in your smile. Our team takes the time to understand your goals for treatment so we can plan out the most beneficial path for your care. Traditional prosthetics such as bridges, partials, and dentures effectively restore appearance and function. The procedure for conventional bridges involves crowning the adjacent teeth so the pontic teeth on the prosthetic stabilize properly. Dentures consist of an acrylic base and porcelain teeth. The arches are custom designed to fit comfortably, using suction and dental adhesives to keep them from shifting out of place. While classic replacement methods address appearance and function, implant-supported options replace the tooth root as well as the visible portion. Supporting restorations with dental implants is the healthiest choice, as the titanium post provides the jaw the necessary stimulation to maintain full volume. Once our local specialist places your dental implants and enough time has passed for the treatment site to heal, we can affix the appropriate restoration to the post using an abutment. At our office, Dr. Wilcox derives considerable satisfaction bringing back problematic smiles to full function and beauty. 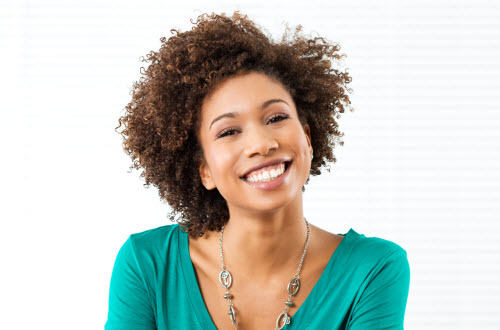 We proudly offer traditional and implant-supported restorations so our patients throughout Davis, Woodland, Dixon, or Winters can show the world their smile with confidence. Contact us today if you would like to learn more.